Safety a culture to live by. Safety is a frame of mind – So concentrate on it – all the time. Safety is not a job; it is a way of life. Slogans such as these are saying, “Safety is a Value” — indeed, it is the most important value of all. But we need to recognize that this has not always been the case, as the picture to the right shows. In it we see Egyptian laborers building the Pyramids; they are cutting stones, hauling them to a new location and then lifting them into place. In a modern safety culture we would expect these workers to be wearing as a minimum: safety shoes, safety glasses, hard hats, gloves and sturdy clothing. Instead they seem to be dressed in loin cloths, and little else. And it is doubtful that they were wearing sunscreen, in spite of the climate. We take it for granted that safety in the workplace is a goal that does not have to be justified — it is its own justification. Safety is a value — the highest value. It’s an attitude that seems to be baked into our genes. We know that some work places are safe and some less so. We even understand that some managers are hypocritical, and merely talk a good game. But we never find a company where managers say, “Safety doesn’t matter.” Yet such an attitude was not always prevalent. The idea of safety as a value actually only came into existence at the start of the Industrial Revolution in the mid-18th century. A similar shift in attitudes with regard to slavery took place at around the same time. Until the late 18th century slavery (or related systems such as serfdom and indenture) was a set feature of life in many countries. And yet, quite suddenly, it was challenged on moral grounds by visionaries such as William Wilberforce and Frederick Douglass. Yet for all of the legitimate moral outrage to do with slavery prior to the industrial revolution many of the most enlightened people of the time held on to slavery — they could not see any alternative if they were to maintain their comfortable standard of living. 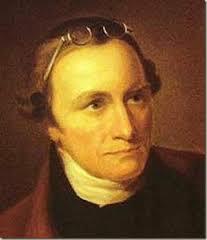 For example, in the year 1773 Patrick Henry — “Give Me Liberty or Give Me Death” — wrote a letter to John Alsop, a member of the Society of Friends (Quakers). Would any one believe that I am master of slaves by my own purchase? I am drawn along by the general inconvenience of living without them. I will not — I cannot justify it, however culpable my conduct. We see the same lack of direct action on the part of Thomas Jefferson (1743-1826). He was a tireless advocate for freedom in general and was active in stopping the slave trade. But he never quite got around to running his own estate at Monticello, Virginia without slaves. So why did safety and slavery become values during the course of the 19th century given that neither had been a priority in the thousands of years leading up to that time? It would be good to think that the industrialists and politicians of the day suddenly developed a moral and ethical awareness that had not been present in any human society heretofore. But the fact that these two systems were challenged at the time of the Industrial Revolution suggests that something else was going on — it would appear as if industrialization itself created an environment in which it was possible to see safety as a value. 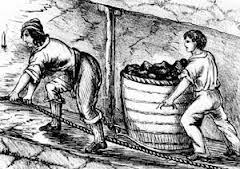 As for slavery, wealthy people such as Henry and Jefferson no longer needed human slaves — they could use machines to provide the cheap labor that they needed to maintain their life styles. And the same argument can be applied to the growth of safety as a value.
. . . they established the rule that all poor people should have the alternative (for they would compel nobody, not they) of being starved by a gradual process in the house, or by a quick one out of it. With this view, they contracted with the waterworks to lay on an unlimited supply of water, and with a corn-factor to supply periodically small quantities of oatmeal, and issued three meals of thin gruel a day, with an onion twice a week and half a roll on Sundays. They made a great many other wise and humane regulations . . .
Gradually the situation started to improve. For example, the industrial revolution was powered by the steam engine. Boiler explosions occurred frequently, but when they did the response was local — there was no overall systematic study as to how to prevent such explosions. By the start of the 20th century the number of industrial accidents had risen to unacceptably high levels. 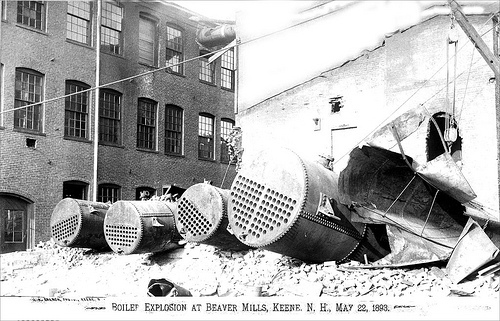 For example, between the years 1870 and 1910 at least 10,000 boiler explosions occurred in North America; by 1910 the rate was 1,300 to 1,400 per annum. In response to this unacceptable situation the newly formed American Society of Mechanical Engineers (ASME) published its first boiler code in the year 1914. The above discussion suggests that safety is a cultural artifact that becomes a value only when there are sufficient economic resources available. If this is the case then there are three ways in which this support occurs. The technology for safety equipment becomes available. Safety becomes affordable; the goods produced by the machines created a surplus that allowed new activities, including safety, to be funded. Safety becomes its own economic justification — a facility that is safe is also profitable. The first of the economic shifts discussed above — technology for safety equipment — is more or less self-evident So, the reason that Egyptian pyramid builders did not use hard hats was that hard hats had not been invented. 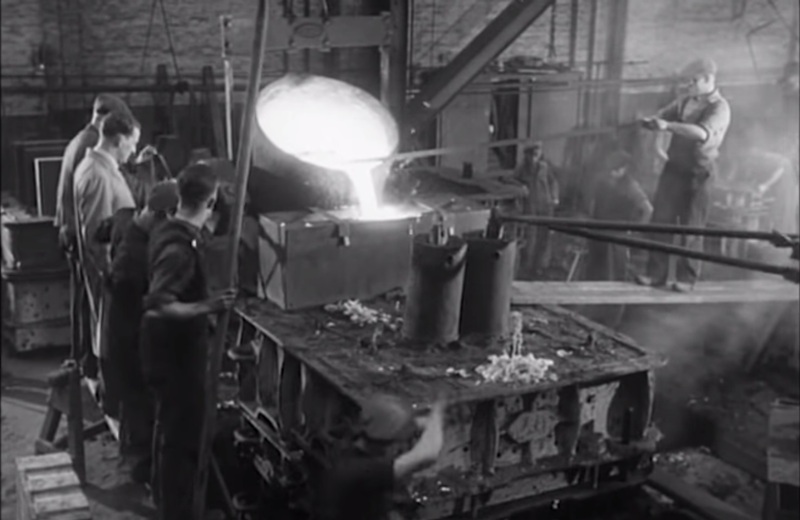 The picture below shows a factory in England (it is taken from a promotional videopublished in the year 1954). The men are pouring steel into molds. None of them are wearing any type of Personal Protective Equipment (PPE) and many of them have their shirt sleeves rolled up. It is easy to criticize this group of men and the management of the company that they worked for. But many of the PPE items that we take for granted now were not available then. For example, the plastics used in modern safety glasses had not been invented. The only safety glasses that they could use had lenses made of reinforced/toughened glass. They were heavy and not all that effective. The second observation that we can make with regard to changes in safety in the last 250 years is that it has become more affordable. A key feature of industrial society is that it produces a surplus of all kinds of goods. Some of this surplus can be directed toward buying safety equipment and improving safety services, including sophisticated computerized simulations of issues such as fires, explosions and vapor releases and developing codes and standards. The third reason for improving safety standards is based on the philosophy that a safe system is also a productive system. If a company can manage safety well then it has in place the systems to manage everything else well. The above discussion has demonstrated that safety is a cultural artifact and that it was technological advances that provided a means whereby safety could be elevated as a value. But this means that we must address the possibility of the opposite situation occurring; as technological productivity starts to slip due to the resource limitations that we face, so there could be reversion to a time when safety was not a value. So, for example, it is likely that it will not be as easy to obtain money and other resources for safety improvements as it was in the past. Increasingly engineers and safety professionals will be challenged to provide an economic justification for the changes that they want to make. They will also have to show that the proposed action makes economic sense and that it is achievable with current levels of technology.